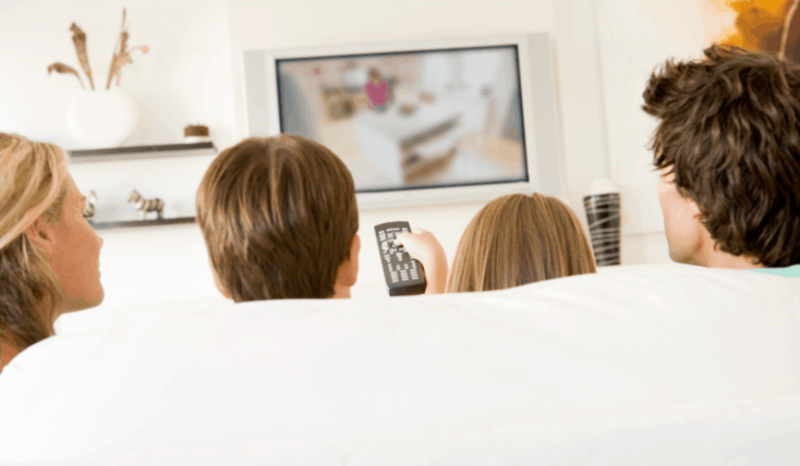 Does your child get impatient waiting on Netflix to load? Do they act like they’re in agony any time you stop and visit with a friend? If so, it might be time to teach patience. I don’t think it’s in our human nature to be patient, because frankly, we’re self-centered and rather impatient unless we’re taught otherwise. And while every generation of families faces its fair share of challenges, I think living in an age of tech gluttony has made teaching certain values more difficult than others. Of course — I do think we’re fortunate to be living in the time we’re living. I’m definitely thankful for technology that allows me to earn an income from home; I’m thankful for tele-medicine and curbside grocery pickup and ALL the conveniences that have made my mom life more manageable. But when I think about the advances in today’s world- which have far outpaced any generation previous to the current one – I sometimes reflect on the cost of these changes. I’m not talking about the dollar amount – that’s a lesson in economics for another day. I’m talking about the cost to our kids: in character, in morality, in virtue. The virtue of patience, I believe, is one we’ve mostly lost. I would venture to say that so many of the social issues we face – which start in the home – are connected to the pitfalls of living in an age of instant gratification. Coming from a 30-something mom – I don’t feel like my own childhood was that many moons ago. But when I look back to the difference between my childhood experience and that of my own kids, it seems like I grew up in a different century. I never dreamed we’d have internet on 6+ devices in our home, with unlimited information and entertainment at our fingertips, 24/7. At our house, we didn’t even have internet at home until my latter part of high school, and it was DIAL UP. I’m pretty sure my kids would give up completely on technology if they had to wait on a dial up dial tone. It seems laughable now, but to this day I still joke about our lack of access to information when I was in grade school. I can’t tell you how many papers and essays I wrote on topics starting with the letter “P” : I wrote on Pompeii, Pregnancy, anything I could find in that P encyclopedia – because it was one of the few I had borrowed from my Grandma’s attic. We rarely made a trip our rural town’s library because of my parents’ work schedules and the fact we lived 7 miles out of town. These encyclopedias were from the 70s and probably represented a lot of outdated information even then. And yet I lived to tell about it. I survived the lack-of-information-age like everyone else before my generation. We had to wait more, for everything. And my parents’ and grandparents’ generations, of course, would tell their own stories of the much slower pace that life afforded them. Look at how smart phones and Amazon Prime have changed the way we live, just to name a few examples. Don’t get me wrong, I love my Amazon Prime … but have you noticed? We don’t have to wait anymore. Today, we can’t even allow McDonald’s to park us without getting impatient. How dare that fast-food worker make us wait for our food. Isn’t it enough that we can grab a $2 burger that we don’t have to cook while we’re rushing around in our busy day? Can’t we appreciate the fact that these conveniences exist without being put-out at waiting an extra 3 minutes? What about at the bank, at the long grocery store check-out line… what’s our automatic response? It’s possible that as parents, we’re the ones setting the prime example of entitlement. 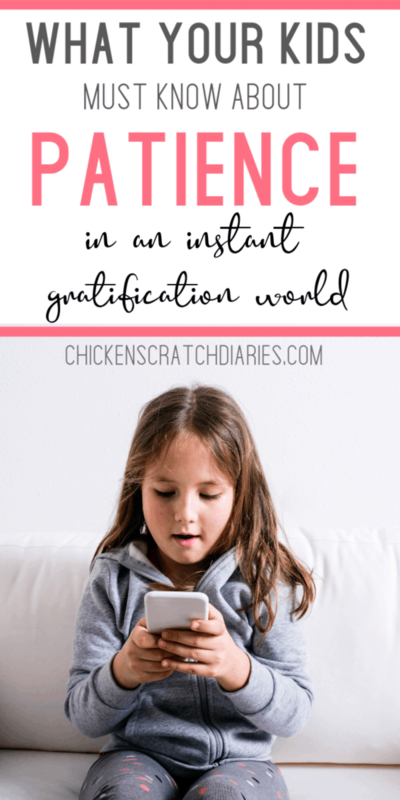 Patience not only matters, but it’s critical in raising kids to be well-rounded, hardworking, ethical members of society. We might blame the millennials for being lazy and entitled, but this epidemic ties directly to an instant gratification culture. It’s all they’ve ever known. Then, we tell kids they need to go to college now, rack up hefty student loans, and this will be a magical formula for landing a great, high-paying job fresh out of school. The reality? Those jobs are hard to find even when you have the degree. Earning a living takes persistence. It takes determination. It takes patience. Anything worthwhile takes sacrifice, and the rewards of those sacrifices won’t come instantaneously. The manner in which we approach the little things in our day-to-day lives forms the decision-making paradigm that our kids will eventually adopt (at least in part) as they make those bigger future decisions. I’m talking about future relationships. I’m talking about setting an example of working through problems in marriage; of seeing important commitments through to the end. I’m talking about teaching our kids to respect and value themselves as well as having empathy for mankind. I’m talking about conveying healthy boundaries and the very real possibility that pursuing the things we want and need might encroach upon the wants and needs of others – and how to address that. 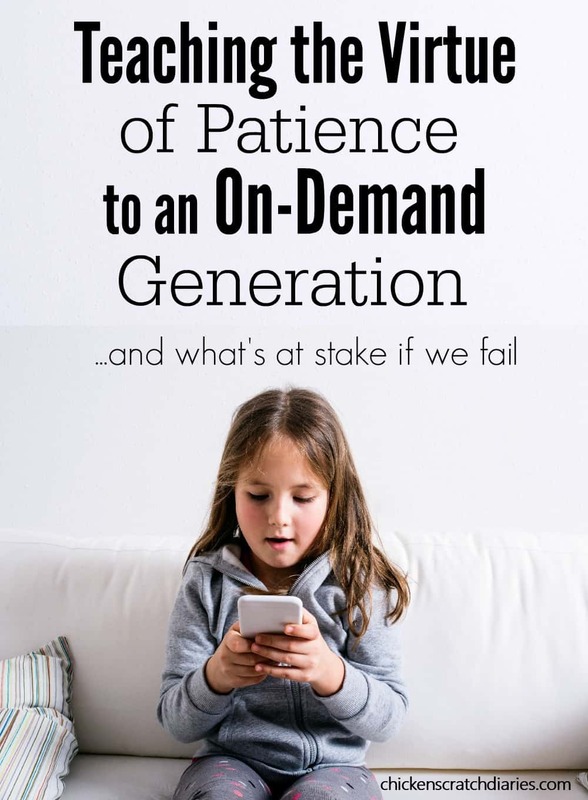 In an age of instant gratification, what incentives do our kids have to wait – for anything? 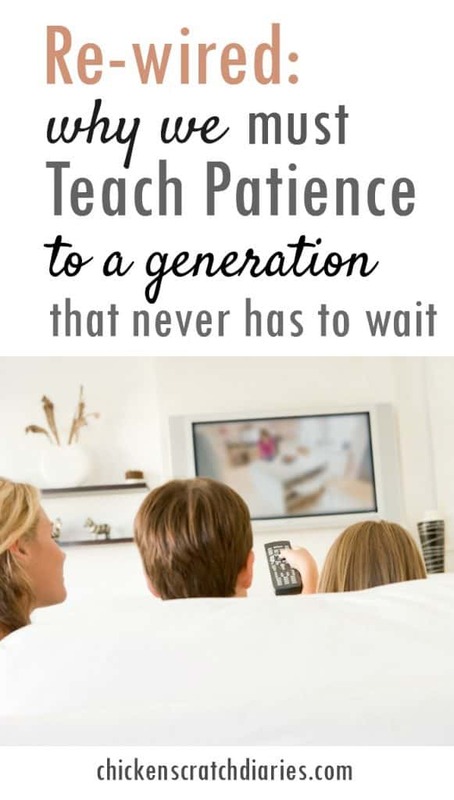 My fear is that we are not raising a generation that looks to the future or sees any value in delaying their immediate wants for something better – something worth waiting for. It’s up to us to change that. Our kids’ future families, health, economic status – all of it – is tied in part to this principle of waiting. For Christians, patience is known as a “fruit of the Spirit”. It’s an evidence of the faith planted in us, molding and making us as we wait for better things to come – tomorrow, the next day, and for eternity. Patience is a virtue that I struggle with every day. Fortunately, it’s also in the P encyclopedia. For our kids’ sake, we would all do well to study it. Great post and I think very needed in today’s world. I’ll be sharing it on my FB page. Thanks for stopping by and reading Amy! Appreciate the shares!! This post stopped me in my tracks. A very important message, and I will definitely be sharing. Thank you for this! Hi Sierrah, it’s a tough subject to know how to handle exactly but I think it’s something we shouldn’t take lightly as parents. Thanks for stopping by – and sharing! I didn’t have a cell phone until I was a senior in college, and it was a flip phone. For that matter, I got my first car as a senior in college too! Times have changed quickly, indeed. We are so blessed, and it’s important to teach children to recognize those daily “simple” blessings! Amen, Kristin! I really do long for a world where children grow up slower, wiser and stay innocent longer. I absolutely loved this article. I struggle with patience myself and I’m so keenly aware that my little 2.5 year watches me and learns from EVERYTHING I do. You’re so spot on that most of the issues in this world today stem from a lack of patience. Everyone wants what they want, when they want it…and they want it RIGHT now. Thank you so much for touching on this. I’m definitely going to make a better effort to teach my little one that sometimes we can’t have what we want right in the same second. And that anything worth having is worth working for…and waiting for.